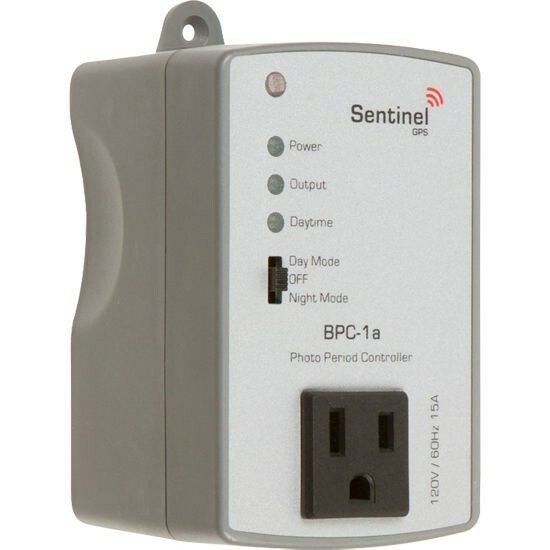 The BPC-1a Basic Photoperiod Controller is designed to allow users easy daytime or nighttime control of equipment. The BPC-1a eliminates the need to coordinate many timers, simplifying the operation of C02 equipment, exhaust fans, light movers, sulfur vaporizers - just to name a few examples. The BPC-1a features a readily visible switch to alternate between DAY or NIGHT control, making it easy for the end user to differentiate which mode it is operating in. (3) function LEDs let users know if the controller has main power, if the controller is in operation, as well as whether the controller is sensing daytime or nighttime. 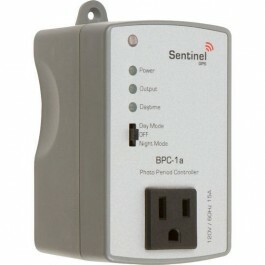 The BPC-1a controller is ETL listed in the USA and Canada, RoHS compliant. and features durable construction built to withstand high impacts and provide years of reliable performance.